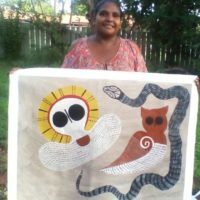 Edna Dale is a Ngarinyin woman and chairperson of Imintji Community, a small community located 220km from Derby, WA on the Gibb River Road. 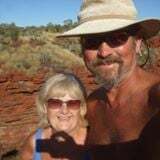 She lives here with her husband Lance Bedford (son of acclaimed East Kimberley artist Paddy Bedford) and their seven daughters. Edna is the daughter of famous Kimberley artist Jack Dale Mengenen (1920-2013). Growing up she spent much of her time by her father’s side travelling through their country, watching him paint and tell stories. 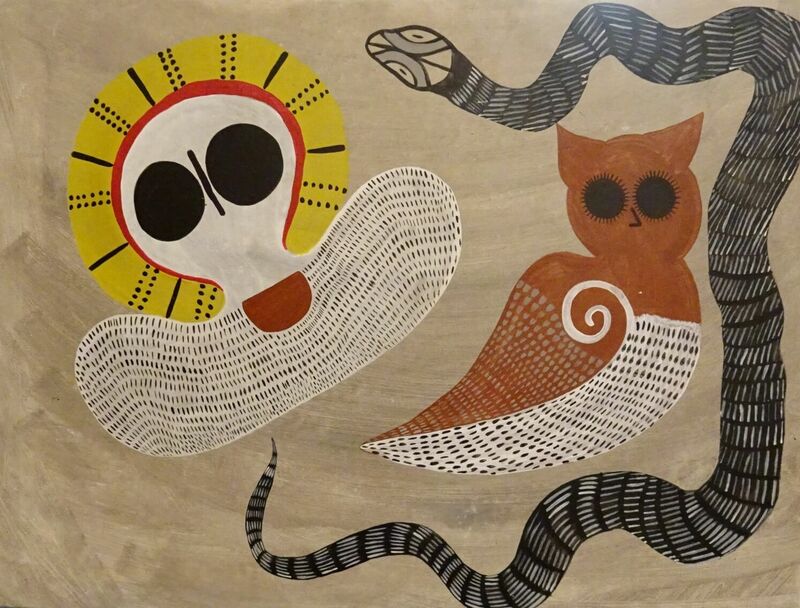 Edna’s father taught her the Law, painting and showed her the many cave sites that are sacred to Ngarinyin people. Edna has her own distinct style, her elongated Wandjina figures and minimalist aesthetic are a clear departure from the imagery of her father. 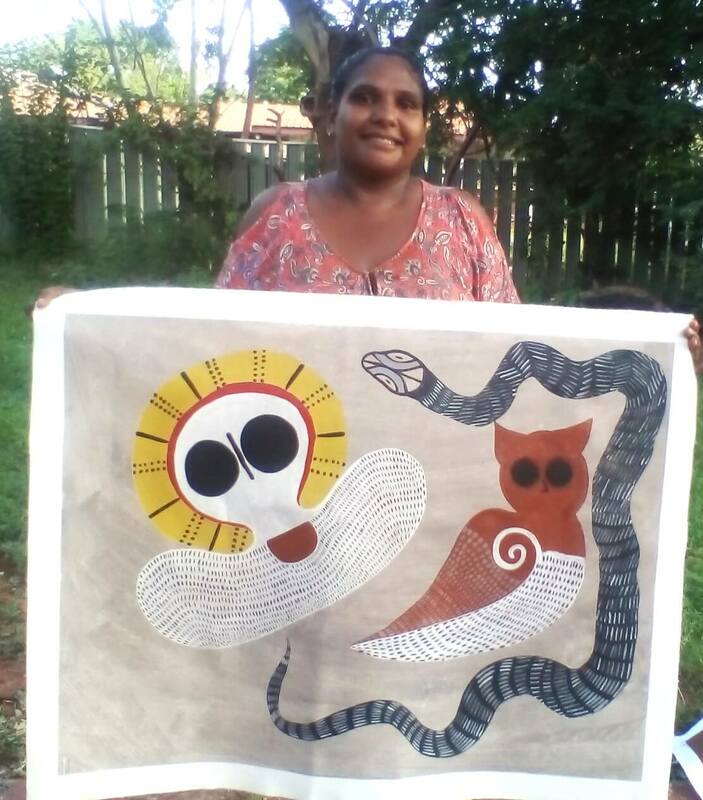 A lovely quietly spoken lady, Edna still lives on her traditional land and is the driving force behind encouraging other Ngarinyin people to use art to tell their stories and keep their culture strong. Her eldest daughter Petrina, also an artist, is carrying on this important tradition to a third generation.